each pebble its part for the fells’ late spring. Basil Bunting (1900-1985), Briggflatts, Fulcrum Press, London 1966, p. 11/14. Aureliano de Beruete (1845-1912), Espinos en flor. 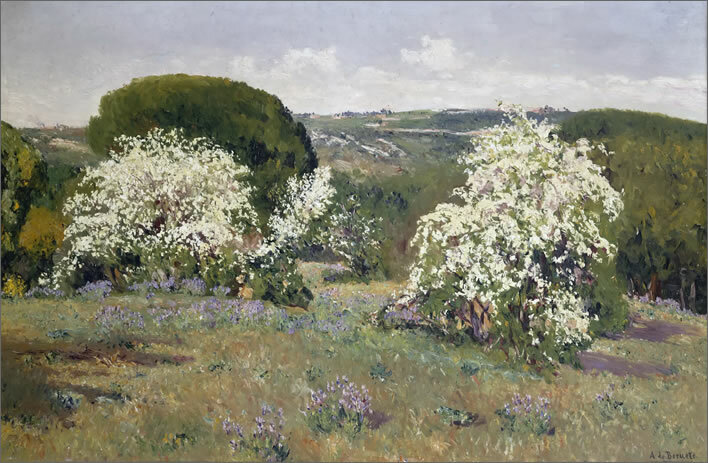 Plantío de los Infantes (Flowering Hawthorn), 1911. Image: Museo Nacional del Prado Madrid. Apart from the fact that the hawthorn – may – is now in flower on the fells of England where Briggflatts is set, there are some calendar coincidences to be noted. 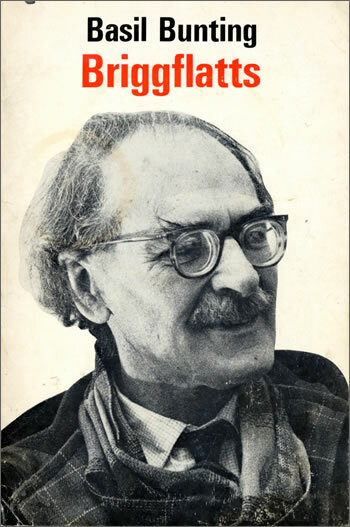 Basil Bunting finished the poem fifty years ago in 1966. Its first public reading took place in that year and it was published in December. My copy of the book (left) is dated inside by me 1967, near enough to fifty years ago to make now no difference. Basil died on 17 April 1985, near enough to forty years ago to make now no difference. Briggflatts is a poem that depends as much on its sound as it does on its text. A large (60 MB mp3) recording of Basil reading the poem can be downloaded free directly from the Writers at Warwick Audio Archive.